Expose UX is the web TV show where startups compete for prizes while getting feedback from user experience experts. It's Shark Tank for UX design. Learn from the experts' advice and improve your own product! Watch past episodes here. Be part of the studio audience in San Francisco! Expose UX is touring North America taping episodes in 25 cities. 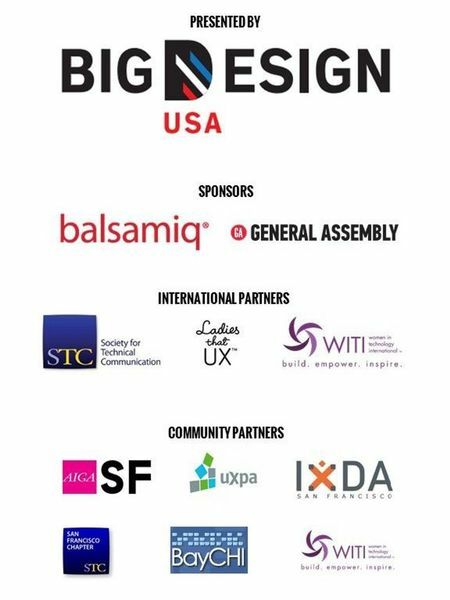 On Monday August 29th, join for their San Francisco stop at General Assembly! Watch as local startups give a 30-second pitch, 2-minute demo, and receive feedback from a panel of user experience experts. After all the startups have presented, the experts will choose the winner for the Expose UX Prize Bundle! Get your picture with Expose UX Host Richard Brevig and meet the experts and startups. Socialize with new friends while enjoying popcorn and soda provided by General Assembly. The San Francisco taping is graciously sponsored by Balsamiq and General Assembly. Admission is on a first come, first served basis starting at 6:00pm. A ticket does not guarantee entry if capacity is reached. Come on time! Kate Rutter is an entrepreneur+designer and Principal at Intelleto, where she creates visual explanations that make complex ideas simple, memorable and shareable. Kate pioneered the UX learning track at Tradecraft, Co-founded Luxr.co, and was Senior Practitioner at UX consultancy Adaptive Path. Indi Young is a freelance problem-space researcher and coach in the technology world. She helps organizations understand the people they support as humans, not just as “users.” She was co-founder of the UX agency Adaptive Path. She has authored two books, Mental Models and Practical Empathy. Pabini Gabriel-Petit is the Founder, Publisher, and Editor in Chief of UXmatters and is Principal UX Strategist at Strategic UX, a new UX strategy and design consultancy. She has worked in user experience for more than 20 years, at companies such as Google, Cisco, WebEx, Apple, and many startups. Pabini was also a Founding Director of the Interaction Design Association. Apply to present your product.